England’s capital city with its colourful and ancient history has a multitude of opportunities for the visitor to encounter the paranormal or supernatural. 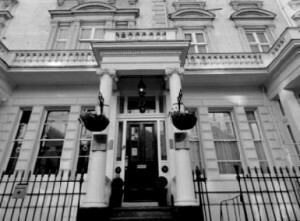 It would only seem proper to start with the house that claimed to be ‘the most haunted house in London’ during the 1900s – 50 Berkley Square, Mayfair. It is said that the attic of the house is haunted by the spirit of a young woman who committed suicide by throwing herself from the top floor windows after being abused by her uncle. There have been two reported deaths said to have occurred in the attic room of people who have stayed there overnight. This has resulted in the belief that her spirit can literally frighten people to death. Other unusual reports linked to house include that of a maid who stayed in the attic room over night and became mad, dying in an insane asylum the next day. The Viaduct Tavern in Holborn, just across from the Old Bailey, was once the site of a prison. The prison cells are now used as the pub cellar and staff have reported lights extinguishing without explanation, doors suddenly locking and frightening noises. One manager who was cleaning the cellar on a Saturday morning claims that a door slammed shut, locking him inside, unable to get out. His wife, hearing his cries for help attended to find the doors unlocked that they opened with ease. In 1999, two workmen claim that a carpet they rolled up suddenly lifted into the air and dropped to the floor. Bethnal Green tube station opened as part of the Central Line in 1946 but prior to this, it was used as an air raid shelter. In 1943, 173 people were killed while attempting to enter the shelter during a raid. Since then, one famous story has emerged about the station regarding a man who had been working there at night. He was working alone and was securing the station when he reported hearing children crying followed by female voices and screams. These went on for around 10 to 15 minutes. The workman never explained why he didn’t investigate further, so we can only guess that it really is a spooky place. Once you’ve located your ideal haunted hotel, London offers a wealth of fantastic museums, monuments and experiences to make your stay one that you’ll never forget. In addition, London offers wonderful eateries, the most ancient and quirky of pubs – check out The Ten Bells on Commercial Street, said to have been Jack The Ripper’s local watering hole. Easily accessible by major motorways and rail links London should be on every ghost hunter’s bucket list. 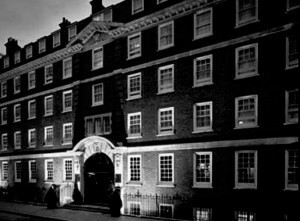 We feature just some of the most haunted hotels in London. 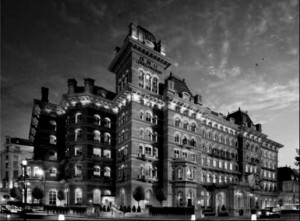 If you know of a haunted hotel in London that we’ve missed, we’d welcome your suggestion. Just click on the ‘Contact Us’ link in the footer at the bottom of the website.